I've made lists of the smaller Dutch makers which I've decided to group together. Included will be: Joop Carley/NVI/VIH, Pander, Trompenburg/Spyker, Van Berkel, and Walraven. As always, additions and corrections are most welcome. There are huge gaps in the Carley designation list. The two 'Enten' canard aircraft constructed around 1917 don't appear to have been assigned designations at all. So, Carley's designations begin with the Carley S.1. In this case, the prefix letter is for designer Theo Slot. This is followed by Carley's own L.II (or L-II) design. Note the shift from Arabic to Roman numerals. 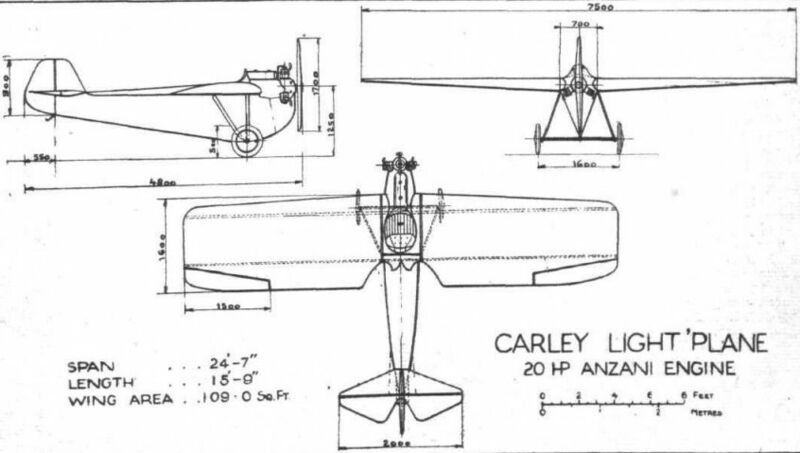 There is no sign of unbuilt Carley projects between the C.III trainer and the C.12 light aircraft. Again, note the change in numeral style (this time, from from Roman back to Arabic). I am not aware of any numerical designation for Carley's Werkspoor Jumbo. And what of the Carley Baby? 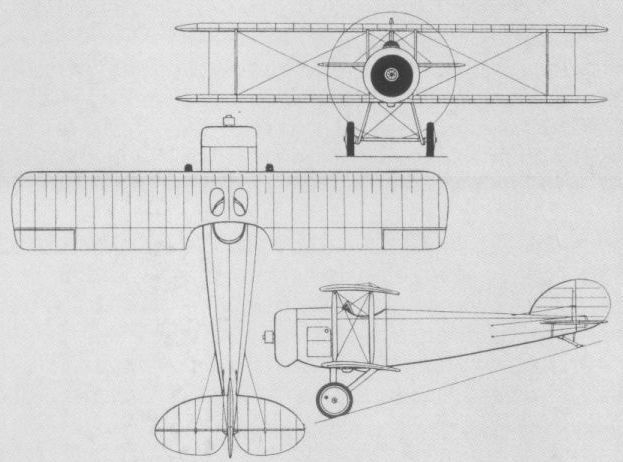 Some sources list the Baby as the Carley 'C2' but the C.II was a biplane. Was the Carley Baby the same as the S.1? Or was it actually the C.12? Or is the Baby a completely separate Carley design only conceptually connected with the others? Can anyone help with this? - As Carley's Aeroplanes Co. The doesn't seem to be any real pattern with Pander designations. The start with Types D and E ... but there's no sign of Types A-through-C. 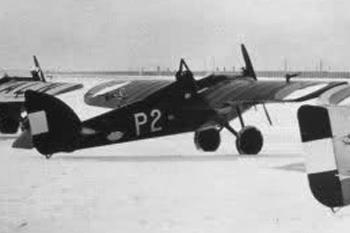 Type letters (eg: Pander E) sometimes followed by a second letter indicating engine type installed (sometimes with numerals indicating horsepower added) - eg: Pander EC (or EC-60) had a Walter NZ60 engine; EG (or EG-100) had a de Havilland Gypsy I.
Designations could be modified to match engine changes - eg: Pander EC-60 H-NAEJ later became an EK-80. Alas, I do not know the engine types for the EH-120 or EK-80 variants. Flight mentions a Siemens-Halske. Can anyone help with those? To add further confusion, construction order numbers are sometimes applied to Pander types. So, 'Pander D 13' is the thirteenth Pander Type D built (c/n 52, H-NACS). Then, the designation style switches to 'P' (for Pander?) followed by type numbers for three designs. These designations are rendered without a space, with a hyphen, or, ocassionally, with a period between 'P' and numeral. The P-1, P-2, and P-3 are followed by the Multipro for which no designation seems to have been recorded. Then, the designation style switches again - this time, to a prefix letter based on the designer's name ('S' for Theo E Slot). The S-4 Postjager was Pander's last powered aircraft design. Listed at the bottom are three glider designs licensed by Pander - two one-offs and the series-built SG-38. Many sources list the one-offs as though their Dutch registrations were also their designations. There is no evidence for this usage. 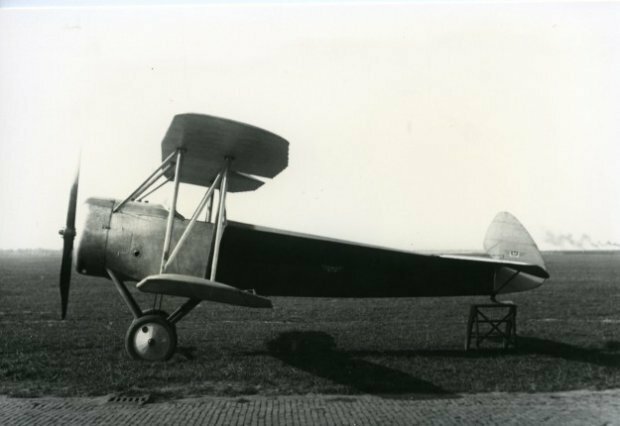 Between 1914 and 1918, Automobiel- en Vliegtuigenfabriek Trompenburg produced almost 100 combat aircraft and 200 aero engines. Aircraft production ceased in 1919 and the firm became officially bankrupt in 1926. 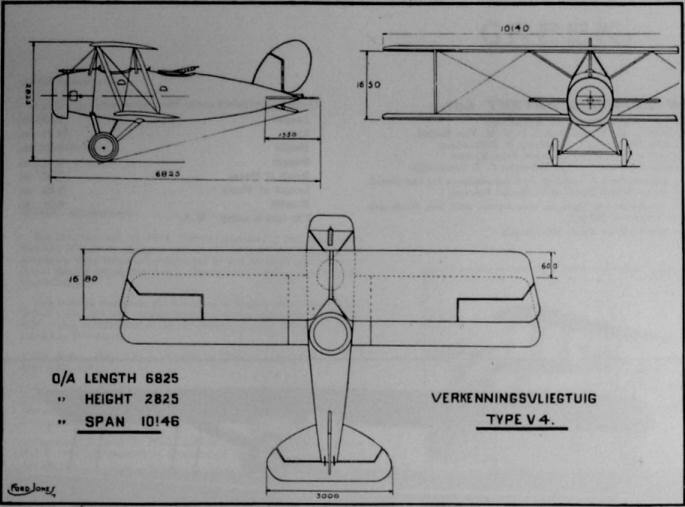 Trompenburg/Spyker licensed aircraft followed the pattern of designation used by their originators. So, the Trompenburg-Farman HF-22 simply took the Henri Farman designation for its Gnome Lambda-powered pusher design. Original Trompenburg/Spyker designs were marketed as Spykers. Each type was sequentially numbered with a 'V' prefix'. The V.1 was partly designed by a French engineer, HA Vannehard, but I am presuming that the 'V' designation simply refers to 'Vliegtuig' or Aircraft. Some sources continued to use the pre-1903 spelling, 'Spijker'. Sometimes rendered as NV Nederlandse Vliegtuigen Fabriek. The Soesterberg factory had been producing Bleriots and Farmans. - Nie 11 C1: Licensed-built* licenced Nieuport 11 C1 BB deriv. All original Spyker designs followed the same pattern - tractor biplanes with unstaggered wings. The 'V' designations presumably spring from HA Vannehard, the original engineer. But Monsieur Vannehard (who went to work for Joop Carley when Trompenburg failed) is only strongly associated with the V.1. The full name of Van Berkel or Van Berkel's Patent was NV Maatschappij tot vervaardiging van snijmachines volgens Van Berkel's Patent en van andere Werktuigen (SA Society for the manufacture of cutting tools, according to Van Berkel's Patent and other Instruments). Quite a mouthful! Known for making precision scales and meat slicers, Van Berkel set up its aeronautical division specifically to make the WA float-fighter. Other designs followed but Van Berkel's aircraft division closed in 1921 due to further orders failing to materialize. The designation WA is often said to in honour of WA (Wilhelmus Adrianus) Van Berkel. More likely, WA stood for Watervliegtuig A (Seaplane, 1st Type). That would better explain the follow-on types designated WB, WC, etc. Some sources render Van Berkel designations with hyphens (eg: W-A, W-B). - W.3: Lengthened cabin W.2, primarily Indonesian wood const. As usual, excellent work by Apophenia . 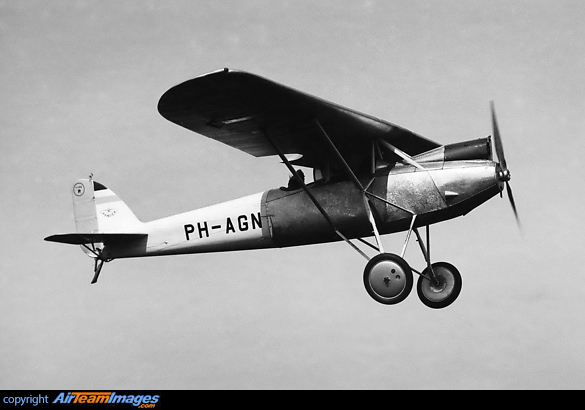 Designed by Hugo Lambach in 1931 for Delftsche Studenten Aeroclub (DSA). A low-wing two seat monoplane with long fixed landing gear. First example registered, aptly, PH-DSA. 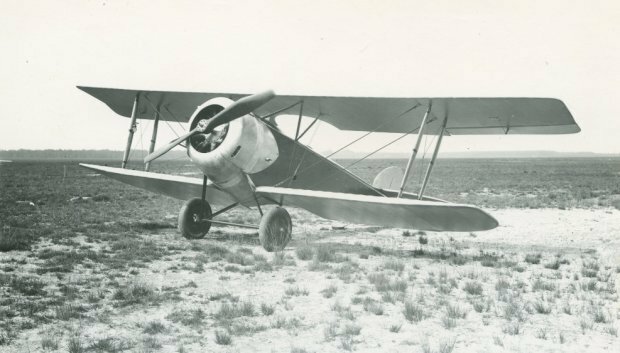 Later fitted with a Curtiss-Wright Junior engine. 1 x Pobjoy Niagara 90 hp Max Speed 140 km/h Start Weight 585 kg Span 11.2 m Length 7.7 m.
1937 Design for a biplane trainer similar to the de Havilland Tiger Moth. 1 x DH Gipsy 130 hp Max Speed 212 km/h Start Weight 600 kg Span 8.0 m Length 6.7 m.
Excellent work my dears Apophenia and Cy-27. Wow, nice piece of works. Are you familiar with the book 'De Nederlandse Vliegtuigen' by Theo Wesselink and Thijs Postma (Bussum, 1982), which describes all aircraft ever built in The Netherlands. The good news: Theo Wesselink has published these, two books originally started as Putnam titles. Nederlandse vliegtuigen, deel 1 en 2. They're good. The bad news: nearly sold out. please any help and thanks.